Larry Kirkpatrick is a Certified Alcohol and Drug Use Counselor and Program Coordinator with the Opioid Overdose Prevention Program at Heartland Human Care Service. 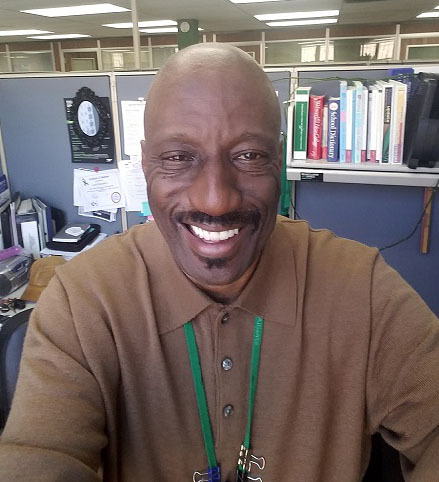 He begin working as a substance use counselor at Interventions in 1992 providing substance use counseling services to ex-offenders. Larry begin working at Heartland in September 2001 working with participants in the supportive housing program. Larry’s focus is on providing substance use and recovery coaching counseling services to create, develop and sustain productive, healthy and meaningful lives. He works to assist participants in addressing daily, environmental, personal or social challenges that may hinder their ability to maintain their housing status. Through the process of recovery coaching and counseling, participants can enhance their learning, increase coping and problem solving skills and increase their quality of life. Larry concentrates on where the participants are now and what are they willing to do to enjoy a better tomorrow. He finds it rewarding when he is able to assist participants in addressing unresolved life challenging issues such as with the criminal justice system, criminal history, current criminal court involvement, court dates , court appearances, being under house arrest and assisting them in getting mandated to recovery treatment centers, Larry assists program participants in transitioning from chronic on-going homelessness, incarceration, shelters, institutions or domestic violence situations into being safely housed in permanent or transitional units.